Filmmaker A.R Murugadoss’s decade-long desire to work with superstar Mahesh Babu has finally gotten fulfilled with forthcoming bilingual spy-thriller Spyder. In 2006, when the Ghajini filmmaker watched Pokiri, he had made up his mind to work with Mahesh Babu, and luckily, in the same year he met him while shooting for his film Stalin and expressed his interest to collaborate. After a long wait, the duo joined hands for Spyder, which is slated to hit the screens on Wednesday. Says Murugadoss, “The wait has been worth it. There couldn’t have a better film than Spyder to mark our maiden collaboration. Over the years, whenever we discussed the possibility of joining hands, we didn’t want to do a film for the sake of it. Both of us were very clear about it. We are glad things finally fell in place for Spyder.” At the audio launch of Spyder, Mahesh expressed a similar opinion. 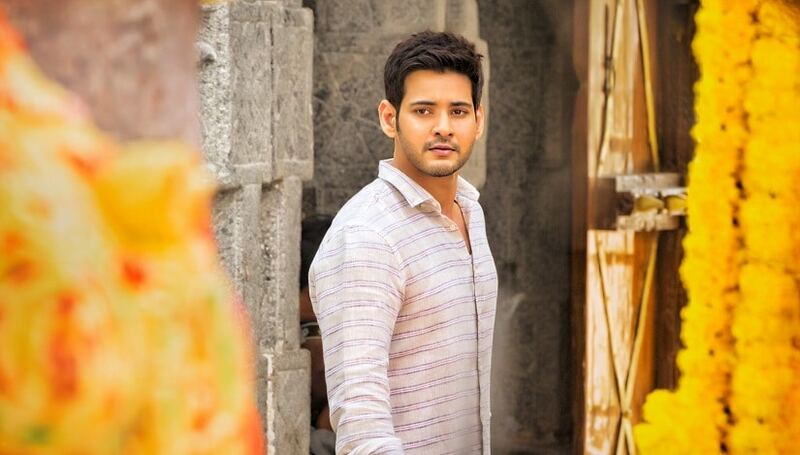 Spyder, a Rs 125 crore Telugu-Tamil film, is reportedly about bio-terrorism and going by the teaser, it looks like Mahesh Babu is on a mission to save the world from a serial killer, played by SJ Suryah. Mahesh plays an intelligence bureau officer in the film. However, shooting a bilingual took a toll on the entire team, admits Murugadoss. Recalling the experience of shooting in two languages for over a year, the 7am Arivu director said, “Initially, we were thrilled about the idea. In no time, we realised making a bilingual is no joke.” However, hardships aside, he vouches that Spyder is a bonafide bilingual. A still from the SPYder trailer. “We roped in actors from both the industries and shot it in a way that audiences don’t feel alienated. This meant we had to shoot each scene twice and every time the whole set up had to be changed. Luckily, we didn’t have to worry too much about changing the backdrop because the story is set in Hyderabad. Even the songs were shot twice because we wanted the lip sync to match the language in which we shot. Naturally, this meant we had to shoot longer than expected. I need to thank my producers for having immense faith in me. Needless to say, we couldn’t have pulled it off without Mahesh’s support. We had 80 days of night shoot and Mahesh never had any problem with the schedule. He was even ready to give us more dates if needed. His dedication level is unmatchable," he reveals. Murugadoss’s films are popular for inspiring audiences with a social angle. He likes to take address human issues through his stories. If it was about the corrupted system in Vijayakanth’s Ramana, in Vijay’s Kaththi, he touched upon the issues of farmers. Is it important to be a socially responsible filmmaker? “My stories are a manifestation of the anger I feel about certain issues. I’m not saying it’s a filmmaker’s responsibility to address a social issue but let’s not underestimate the power of cinema as a medium,” he says. Is that why there is no smoking or drinking scenes in Spyder, because he feels it can influence the viewers? “I have already said this. I don’t like to show smoking or drinking casually on screen. As filmmakers, we need to treat this medium seriously and not do something because it looks cool. But if I have to make a film about smoking, you’ll definitely find my hero smoking. Your actions as a filmmaker need to be justified,” he adds. One of the highlights of Spyder will be the action. Murugadoss is all praise for National award-winning action choreographer Peter Hein, best known for his work in Baahubali and Pulimurugan. “He put his life at risk for the action sequences. The climax action episode, in which we had to include general public, will be highly spoken about. This is going to be one of his best works and audiences are going to love Mahesh in the action scenes. Mahesh insisted on doing all his stunts sans a body double," reveals Murugadoss. The million dollar question now remains — Will he collaborate with Mahesh again? “Who wouldn’t want to? But I won’t do a film again just for the sake of it because our film was a hit. I don’t write a story keeping in mind any actor. During the course of writing, the story lets me choose an actor,” he says, signing off.